When Chad Poitras decided to venture out and create his own funeral home, he did so on the premise of “a local serving locals with dignity, respect and affordability”. 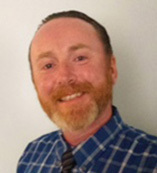 Chad strives to serve families throughout southern Maine with the utmost care and sincerity. Chad grew up in Buxton and graduated from Bonny Eagle High School. 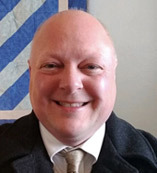 He then graduated from Pittsburgh Institute of Mortuary Science and Point Park College in Pittsburgh, PA. After completing his apprenticeship, he became licensed in 2001. 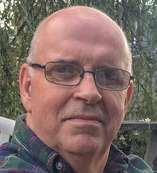 Since then, he has served multitudes of families from Buxton, Hollis, Standish, Limington and other southern Maine communities. Chad is active in many community organizations. These include Buxton Masonic Lodge #115 where he is a Past Master, He's a Past District Deputy Grand Master of the 18th Masonic District, member of the former Adoniram Masonic Lodge in Limington, Treasurer of Freedom Lodge #42 in Limerick, Past Patron of Pleasant River #159 Order of the Eastern Star, Noble in Kora Shrine Temple, member of the Buxton/Hollis Historical Society, GAR in Standish, Board Member of South Buxton Cemetery, Board Member of St. Demetrios Hellenic Orthodox Cemetery, Committee Member of the Buxton Ancient Cemetery Committee, Local Health Officer for the Town of Buxton, member of 19th Century Willowbrook Museum, member of the Maine State Board of Funeral Service, American Society of Embalmers, as well as being active in many community events. Chad lives in Buxton with my wife Cheryl and children Mathieu and Sofia. 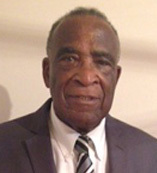 Alfred "Larry" Burris Sr. is a licensed funeral attendant who is seen assisting with services and visiting hours along with other roles at the funeral home. Larry grew up in Missouri and came to Maine in the late 50's while proudly serving in the US Navy. He has lived in Maine ever since. He resides in Bar Mills with his wife Dale (Reynolds). He has driven city buses for most of his life and still drives tour buses through out New England. 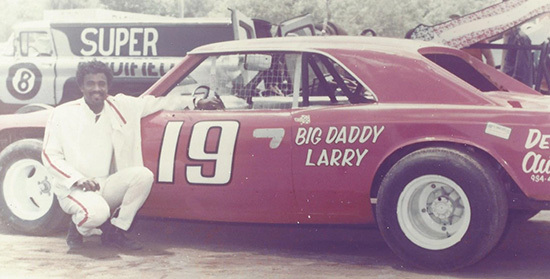 Many people who attend the races at Beech Ridge Motor Speedway will remember Larry as a racecar driver in the 1960's and 1970's. He is a longtime member of Buxton Masonic Lodge #115 AF&AM, Kora Shrine Temple Motorcycle Corps and is involved with the Portland Chapter of the NAACP. Larry has been involved with the Civil Rights movement and was present at Martin Luther King's "I had a dream speech" in Washington DC in 1963. 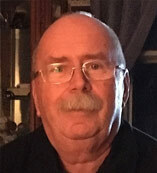 Joseph “Jody” Watson Jr. is a licensed funeral director who has served southern Maine for many years. 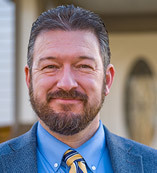 As the former owner of the Cornish funeral home, Jody is well acquainted with the Ossipee and Sacopee Valley area and has served many families there. He is the step son of longtime funeral director Morrell York. Jody lives with his wife Jane in Parsonsfield. Jeff Grover is a licensed funeral attendant that assists the funeral home in many roles; however, he is most involved with transportation. Jeff grew up in Buxton, has lived in Hollis and is currently a Limington resident along with his wife Tammy (Estes) and son Jeffrey. He graduated from Bonny Eagle High School in 1989. Jeff is also the superintendent of South Buxton Cemetery in Bar Mills and Hillcrest Cemetery in Hollis. His experience as a cemetery superintendent has given him the professional experience to help people in difficult times. 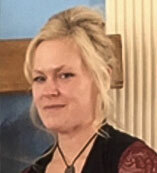 Lisa Pierce is a licensed funeral attendant and will be seen assisting with services and visitations. 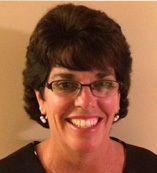 She is a Standish resident who resides with her husband Mark and children Marisa and Brandon. After losing her son Peter to cancer in 1998, Lisa has had a passion to help people in difficult times. She is a member of the Hollis Center Baptist Church. Charles “Brad” B. Eldridge lives in Standish and owns and operates Farmhouse Flowers in West Buxton. He is an expert on floral arrangements and a great resource for floral displays. He is a licensed funeral attendant who assists with services and visitations. Brad has also worked for many years at a funeral home in NH. Rowland Turgeon resides in Bar Mills with his wife Tammy. Rowland has worked as a truck driver for most of his working years. 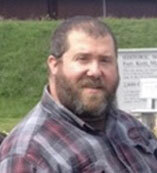 He is very active with the Buxton Fire Department and is an avid truck enthusiast. Rowland assists with transportation for both of the funeral homes. Robert “Bob” Foss joins us as a funeral attendant after serving 33 years with the City of Portland Police Department. As a police officer he served several areas of the city including the Patrol, Island, Court, Traffic and Jetport divisions. Bob is originally from Windham, ME with family roots in East Machias, ME. He graduated from Windham Christian Academy and Southern Maine Technical College. He currently lives in Old Orchard Beach, ME with his wife, Jennifer. In their spare time they enjoy riding their Harley Davidson motorcycles. Bob and Jen are members at the Hollis Center Church, Hollis, ME. Sherry Gonneville is from Saco and is one of the funeral home's hairdressers. Her many years of experience is a great addition to the funeral home. Kelsey Shannon, Jeanie Woodward, Gary Poitras and Michelle Yum also assist in various roles at the funeral home.